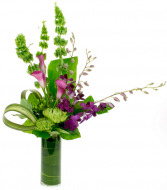 When ordering, please note if the address is a business or school to ensure delivery during standard business hours. 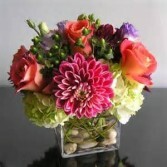 Did you know we deliver to the ENTIRE metro area? Simply place your order online, tell us you want CAR SIDE to go in special instructions. 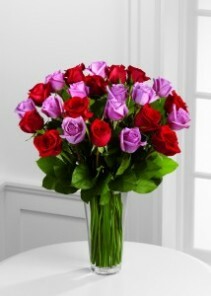 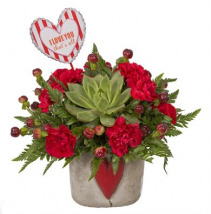 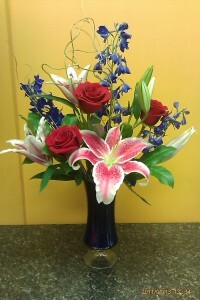 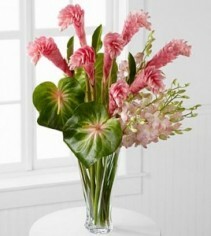 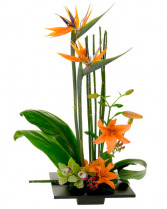 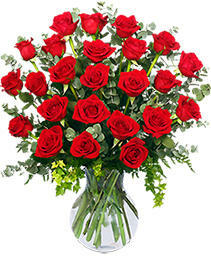 We will call you to coordinate a time to pickup and we'll run your flowers out to you! 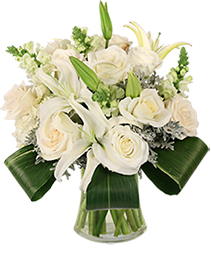 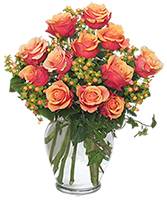 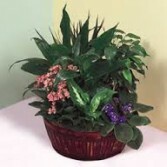 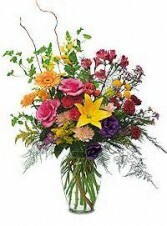 Bright, fragrant flowers arranged in basket accented with a beautiful bird. 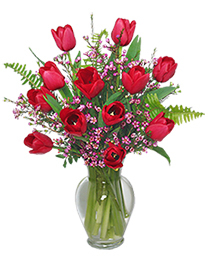 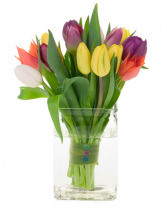 A Beautiful variety of tulips neatly tied off with a fresh leaf. 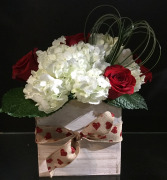 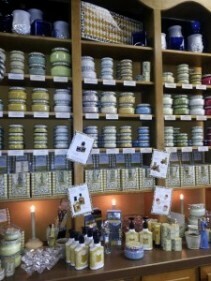 Sweets for your sweetheart! This lovely white ceramic vase is filled with hydrangea, gerbera daisies, carnations, daisy poms and seeeded eucalyptus. 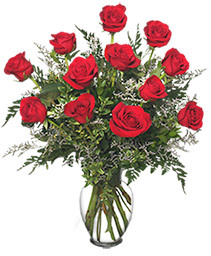 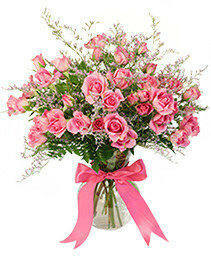 One dozen long stem roses and babies breath with a beautiful bow. Roses arrive with water tubes. 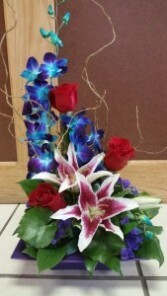 Please let us know if you would like another color, many available!